Goldsmith and Eggleton manufactures reprocessed polymers and masterbatches offering our customers value, quality and the competitive edge needed in today’s rubber industry. Creating and Maintaining Lasting Partnerships: Channel Prime Alliance, G&E, and You. In 2013, G&E and Channel Prime Alliance joined forces to create the industry’s preeminent manufacturing and distribution team. 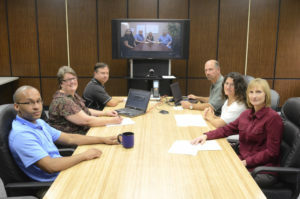 What this partnership brings to the rubber industry is total coast-to-coast coverage by an experienced sales force, comprehensive technical and customer support services and an unparalleled portfolio of product offerings. CPA’s partnerships with our suppliers of Prime Elastomers, Carbon Black, TPU, TPV, Reprocessed Elastomers, Masterbatch, and Wide Specification rubber, solidifies our position as the only source you’ll need for your raw materials. Creating partnerships so we can create and maintain lasting partnerships with you our customer.